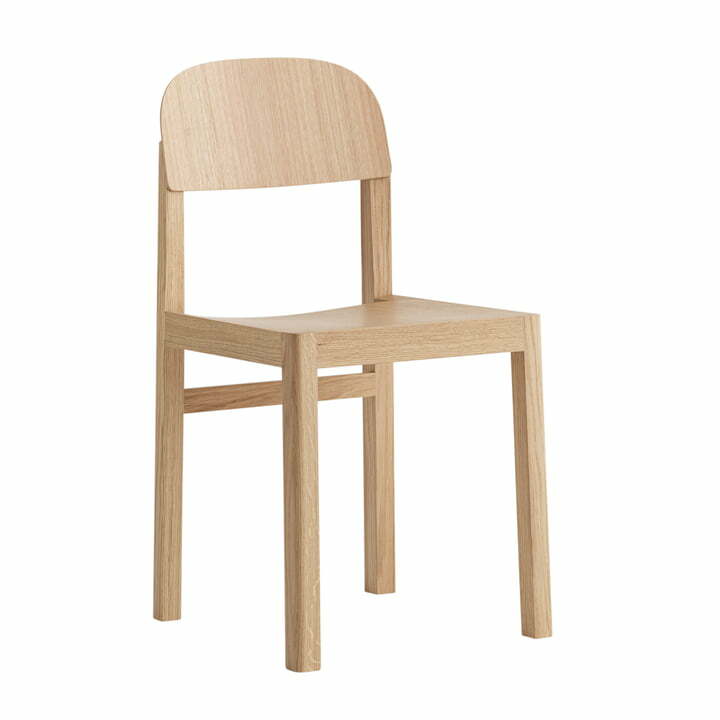 The Workshop Chair by Muuto is a classic, stylish chair with a frame made of solid oak or douglas fir. 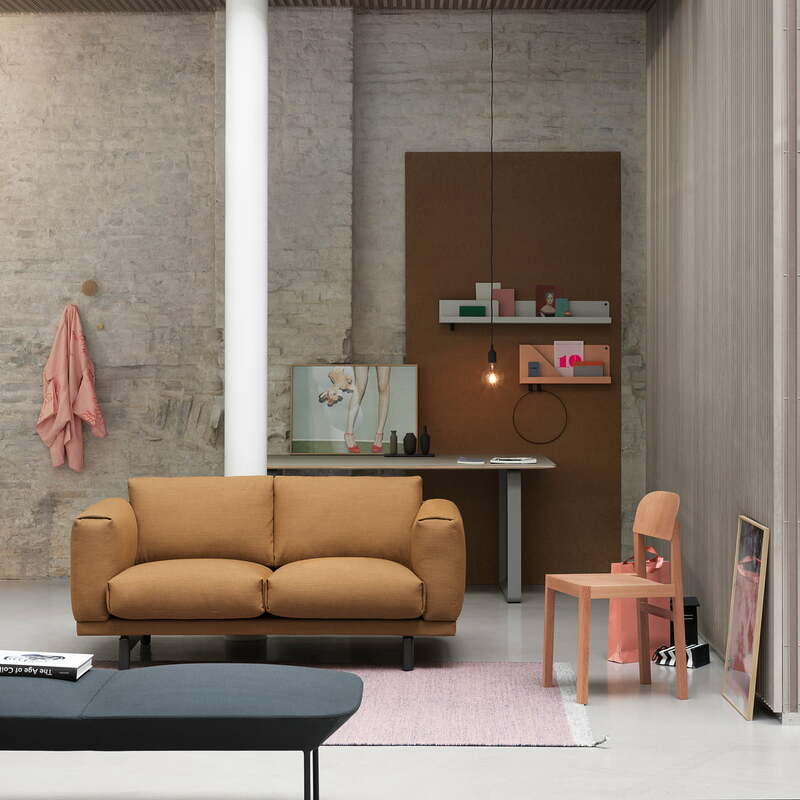 It was designed by the Copenhagen-based product designer Cecilie Manz for Muuto. The designer used an archetypal form, which balances between traditional, fine craftsmanship and contemporary design. Name giver of the chair "Workshop" is the intense, temporally defined design process, in which sketches have been implemented directly in models which enabled the designer to directly vary and refine details and proportions. The result is a chair that has a particular visual lightness and slender silhouette and works as a perfect dining table companion. Product view of the Workshop Chair in oak by the design label of Muuto. It was designed by the Copenhagen-based product designer Cecilie Manz for Muuto. 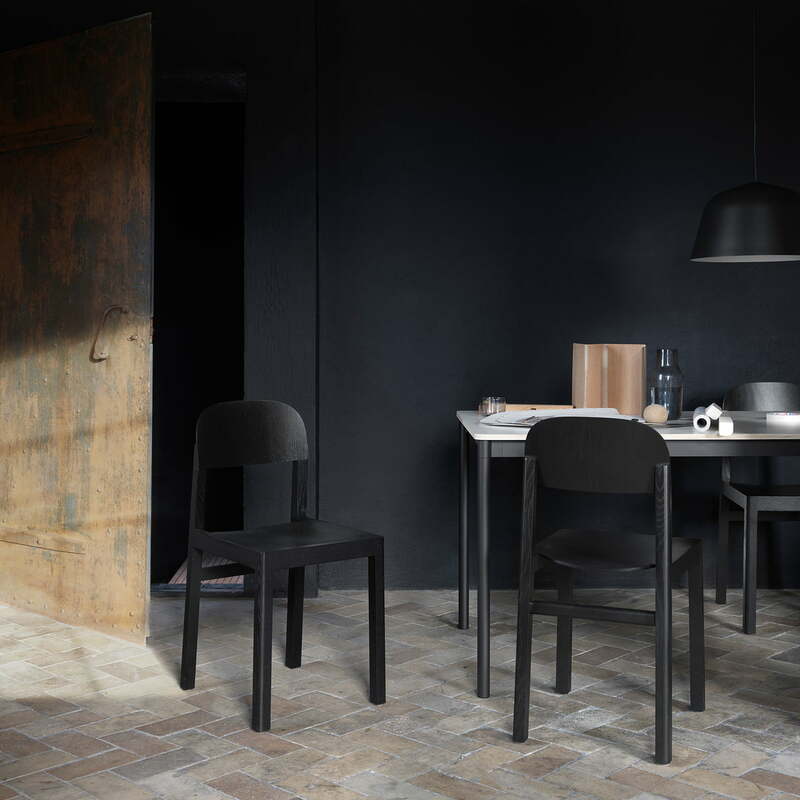 Product view of the Workshop Chair in black by Muuto. The designer used an archetypal form, which balances between traditional, fine craftsmanship and contemporary design. 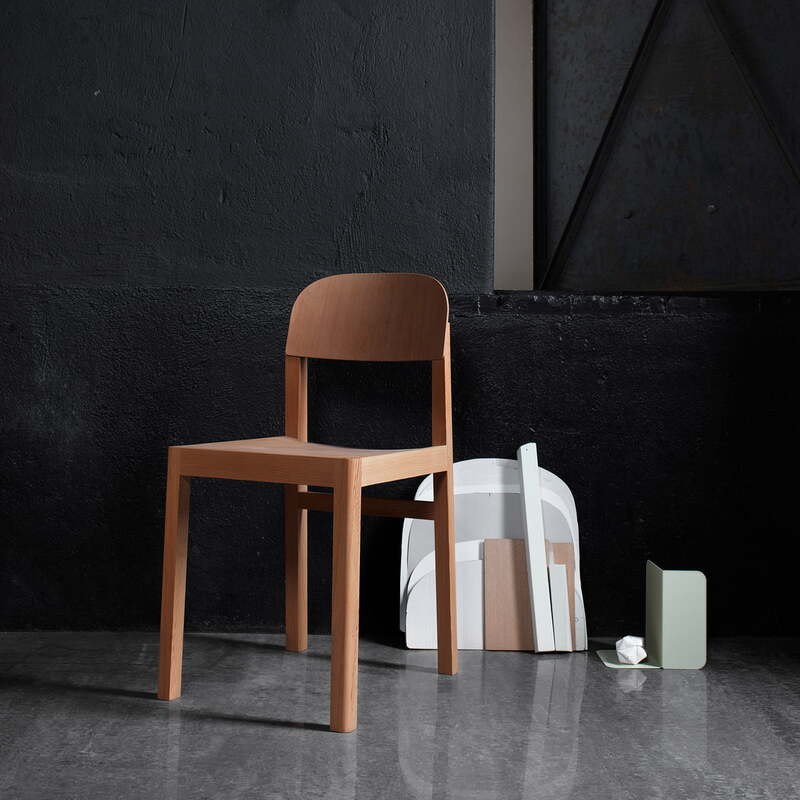 The Workshop chair by Muuto made from solid oak or pine in a dark room. The chair is perfect for a dining room and looks very noble thanks to its classic look. 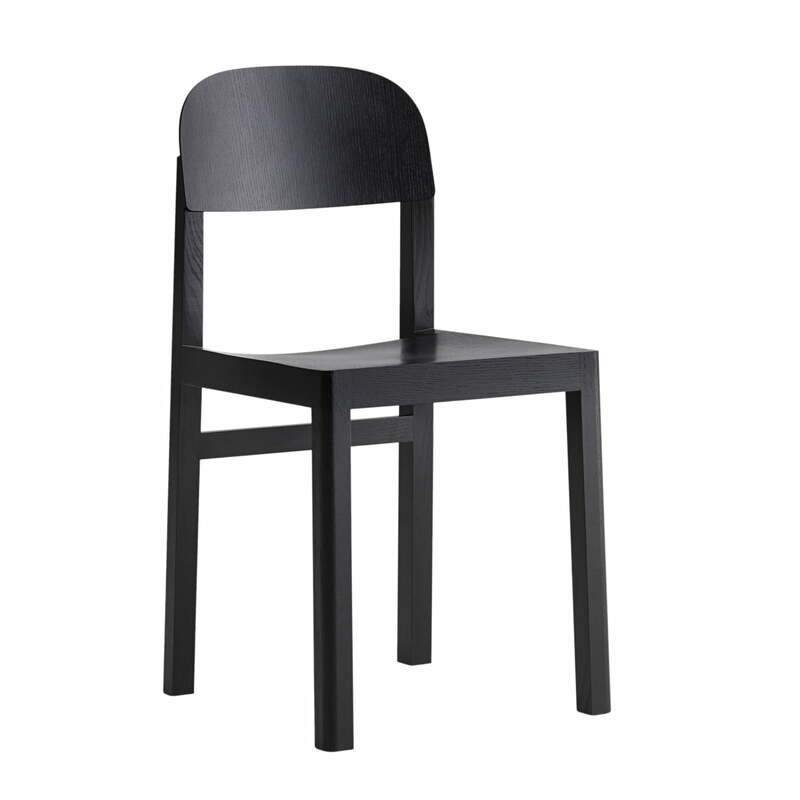 The WorkShop Chair in black. The result is a chair that has a particular visual lightness and slender silhouette and works as a perfect dining table companion.